We opened the registration for ice hockey camps during the Summer 2019. You can register online. We are looking forward to meet you. We opened the registration for ice hockey camps during Spring and Summer 2018. You can register online. We are looking forward to meet you. We just opened the registration for ice hockey camps during Spring and Summer 2017. You can register online. We are looking forward to meet you. We started registrations for set of new weekend Ice Hockey training camps during Spring 2016. You can see concrete dates and apply online. We are an ice hockey school with a training program during the whole season and with modern methods of training. The basis is an individual approach to the player with a personal plan of development and its control during the training process. The training program of the school is targeted on improvement of individual capabilities and skills of a player. 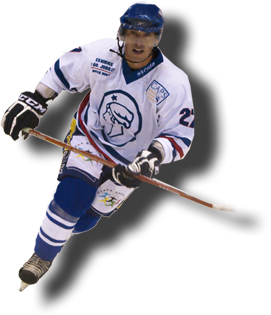 Patron of the ice hockey school is Marek Židlický.